Activities nearby Shopping Spa & Fitness Museums Cinema Restaurants Extra services (with an extra charge) Private dinner Our chef will prepare the menu of your choice and will be served on the terrace or wherever you choose to enjoy unique delicacies while enjoying the wonderful sunset. Grocery shopping. You can order your grocery needs and they will come to the villa free of charge. The shopping amount is payable on the arrival. Guest services Some of the services we can provide you with are: A la cart Breakfast, Daily Housekeeping, VIP Check In / Check Out, Ticketing & Travel Services, Car / Motorcycle Rental, Concierge, Transfer Services on a cost, Helicopter & Yacht Service, Sightseeing and Shopping Guidance. 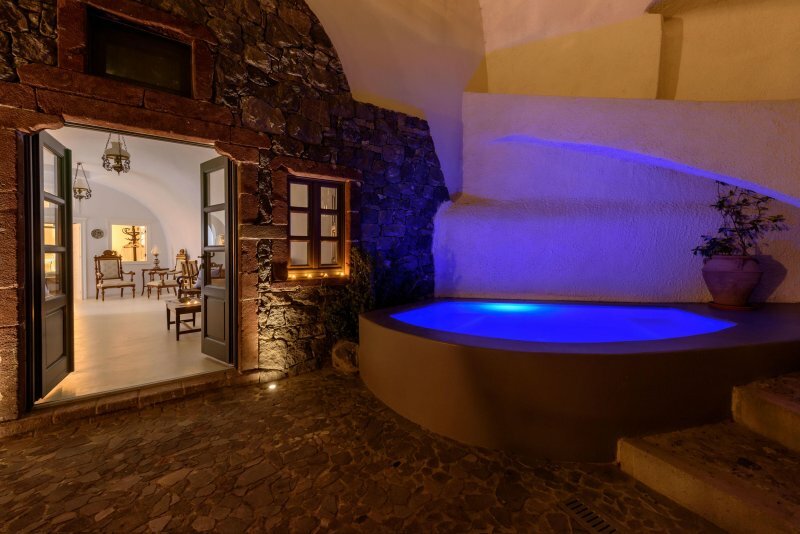 It is located in Fira which is the capital of Santorini which offers all kinds of shops for all budgets. It is full of restaurants and bars, museums, churches, supermarkets and famous Gold Street (one of the most famous areas in Europe for buying jewelry). 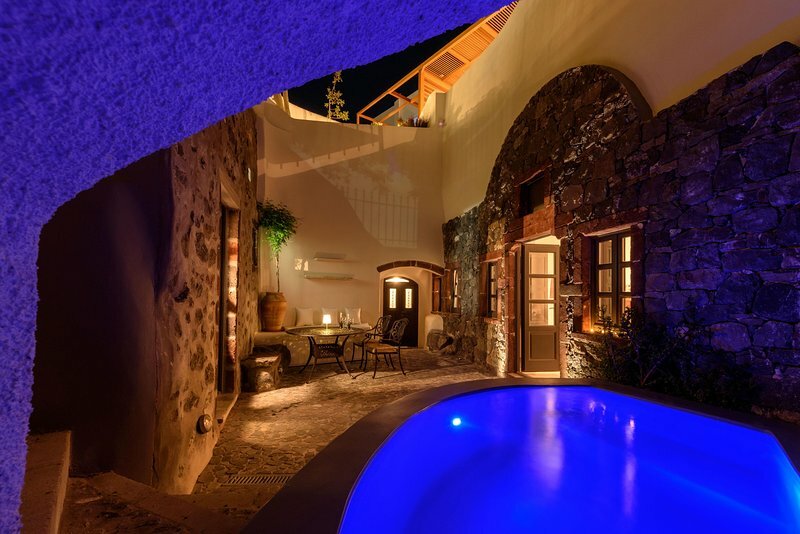 All in all, Fira provides everything a guest would need combined with unparalleled views and traditional architecture. 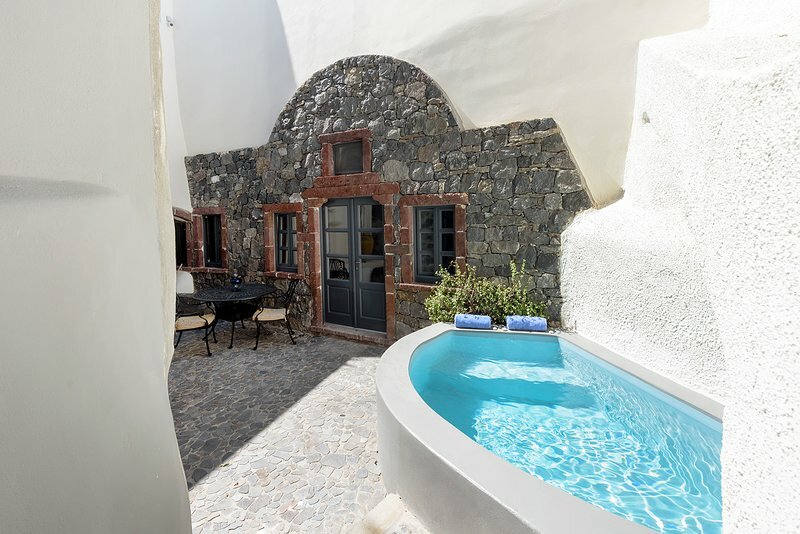 The villa is on a quiet area of Fira and only five minutes away on foot from the Gold Street, the nearest parking lot, the Santorini Cathedral, the main bus station and the taxi station.